almost 16 years after the Municipal Corporation of Delhi (mcd) shut down its waste-to-energy power plant at Timarpur, the Timarpur Waste Management Company Private Limited (twmcpl), a subsidiary of the Infrastructure Leasing and Financial Services (il&fs), is now busy reviving it. But environmentalists are sceptical: they say twmpcl and mcd are reviving the plant just to benefit from clean development mechanism (cdm) benefits under the Kyoto Protocol. Started in 1990, the plant was based on a technology imported from Danish firm Volund Milijotecknik. The plant was designed to incinerate 300 tonnes of municipal solid waste every day and generate 3.75 mw of power. But the waste didn't have enough calorific value and the plant was shut after 21 days of operation. "Now, the calorific value of the waste has increased over the years and the plant is bound to work this time," says Surendra Pal, an mcd engineer, in charge of the project. Besides, il&fs has proposed to use a technology developed by the Technology Information, Forecasting and Assessment Council, New Delhi, which will help to generate 6 mw of electricity and produce 69,000 tonnes of refuse-derived fuel after treating 650 tonnes of waste everyday. Environmentalists, demand a proper evaluation. "The new technology is based on incineration, which will lead to serious air pollution; it also disqualifies the project for cdm benefits," says Gopal Krishna, member of the Global Alliance for Incinerator Alternatives, New Delhi. Both mcd and twmcpl dismiss these concerns. 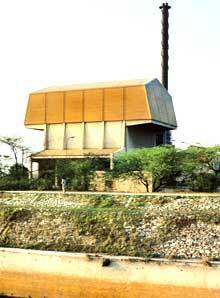 "In the absence of a proper waste management system in Delhi, revival of the plant was necessary. Besides, the technology followed will draw cdm benefits," says Pal. The project has already received environmental clearance from the Union ministry of environment and forests. On May 23, it got listed before the cdm executive board of the United Nations Framework Convention on Climate Change and was open for comments till June 21. As per the project design document, it will cut down over 1.7 million tonnes of carbon dioxide. But experts say the document is misleading, for neither the twmpcl's rapid environment assessment is in the public domain, nor does it mention the stakeholders. "It is just another business as usual," says Krishnan.